Considerable debate has developed regarding the relative value of Caloric intake and needs. Calorie, refers to the approximate amount of energy needed to raise the temperature of onegramof water by one degreeCelsius at oneatmosphere of pressure. In the context of food energy we typically speak in terms of kilocalorie which is often shortened to Calorie. 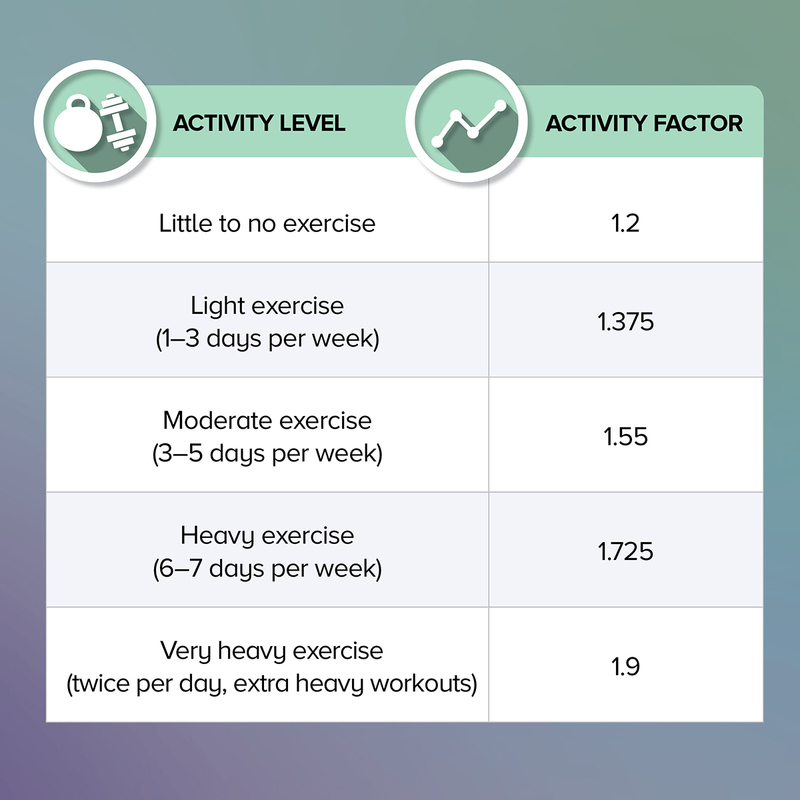 Practically, an individual's caloric need can be calculated by determining their basal metabolic rate (BMR) and multiplying by an activity factor to account for energy used by intensity and frequency of exercise. Weight and fat loss or weight and fat gain is related to energy balance. In nursing, this is referred to as Imbalanced Nutrition: More (Less) Than Body Requirements. In other words, if a patient is in a negative energy balance and consuming less than is used, he or she will lose weight and fat. That suggests that the first law of thermodynamics is being followed. However, Feinman and Fine argued that Calorie counting perhaps violates the second law of thermodynamics.1This argument, as well as relative nutrient density of foods has guided some nutrition and integrative medicine practitioners to divest proposed diets from caloric needs and values. In many instances, this serves a purpose. Calorie counting often requires weighing or estimating weights of foods and following complex indices and trackers online or via a journal. Despite this revival of intuitive eating versus calculating Calories, there are times when determining an individual's caloric needs are useful. What conditions are right for using caloric intake calculations? It is imperative to understand caloric intake needs when a person is consuming nutritional products as sole nutrition rather than food ab libitum. Examples of this include the exclusive use of meal replacements or elemental diets. Meal replacements, using intact protein sources, are often used to support body composition whereas elemental diets are used under medical supervision for a spectrum of health concerns. In the case of elemental diets, practitioners must take care for patients to not lose weight too quickly. This may be a sign that food, calories, and nutrients must be increased. According to the Centers for Medicare & Medicaid Services (CMS) the suggested parameters for evaluating significance of unplanned and undesired weight loss are well defined. Significant loss is 5% of total body weight over one month and greater than 5% is severe loss. Caloric needs are equal to the basal metabolic rate (BMR) multiplied by an activity factor. If you do not know body fat/lean mass, the best way to estimate caloric needs is the Harris-Benedict equation. This equation will be very accurate in all but the very muscular (will under-estimate calorie needs) and the very overweight (will over-estimate calorie needs) because it does not take into consideration lean body mass as a variable. In addition, different equations are used for men and women. To convert weight in pounds to weight in kilograms, multiply weight in pounds by 0.4536. For example, 164 pound person weighs 74.4 kg (164 x 0.4536 = 74.4). To convert height in inches to height in centimeters, multiply height in inches by 2.54. For example, a five-foot, nine-inch (5'9” or 69 inch) person is 175.3 cm (69 x 2.54 = 175.3). Because she is sedentary, her Harris-Benedict equation suggests an activity factor of 1.2 making her caloric needs 1792.32 per day or roughly 1800 calories. An online calculator can also help to determine BMR and a very simple calculation using the activity factor will provide her caloric needs. Using the same age, activity, height, and weight variables, a man's caloric needs are 1992 per day or roughly 2000 calories. Individuals who are younger, more active, taller, and heavier have greater caloric needs. If you do have body fat/lean mass then you can use the Katch-Mcardle formula. Then, BMR is calculated as (21.6 x Lean Body Mass in kg) + 370. BMR is multiplied by the activity factor to determine one's daily caloric needs. Calculating Calories for a sole-source nutrition program, especially under medical supervision cannot be overestimated or forgotten. Corey Schuleris the Director of Clinical Affairs for Integrative Therapeutics. He is a certified nutrition specialist, licensed nutritionist, and chiropractic physician board-certified in clinical nutrition. He has earned degrees in nursing and phytotherapeutics, and has a private integrative medicine practice in Hudson, Wisconsin. 1. Feinman RD, Fine EJ. "A calorie is a calorie" violates the second law of thermodynamics. Nutr J. 2004 Jul 28;3:9. 2. Harris JA, Benedict FG. A Biometric Study of Human Basal Metabolism. Proc Natl Acad Sci U S A. 1918. 4 (12): 370–3. 3. Roza AM, Shizgal HM. The Harris Benedict equation reevaluated: resting energy requirements and the body cell mass. Am J Clin Nutr. 1984 Jul;40(1):168-82. 4. Mifflin MD, St Jeor ST, Hill LA, et al. A new predictive equation for resting energy expenditure in healthy individuals. Am J Clin Nutr. 1990 Feb;51(2):241-7.